Did you know that Australia has 8222 islands? It is not just one giant country but is a country with so much more than just its land mass in the middle. The islands around Australia are doused in their own natural beauty. While there are plenty of traveling blogs telling you which territory to go and visit to see the kangaroos and the koalas, there are fewer telling you about the many Australian islands that are mind blowing enough to visit. Below, we have got 7 of those amazing picture worthy places in eastern Australia to travel. So get your wallet ready to book your next break! This is one of the most popular destinations for native Australians who are looking to get away from the rat race of the cities and who crave some tranquillity. 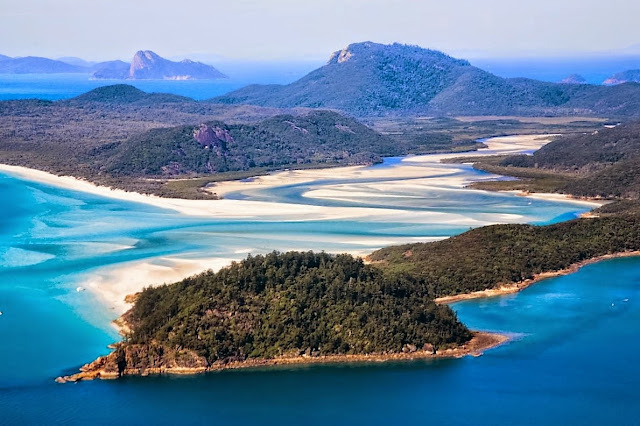 There are 74 islands made up of from the Great Barrier Reef Marine Park and the Whitsunday is the largest of them all. Fun fact: the sand is so pure here that you can literally brush your teeth with it! Reachable by ferry from Townsville in Far North Queensland, Magnetic Island is very popular with backpackers and for good reason. The Reef, the koalas, the IslandLife Beach Festival and the many bars right along the beach are just a few of them. There are so many tours that come to Fraser Island, and it is because it is the largest sand island in the world. The waters may be too rough to swim in, but there are safe lakes that are within the island and so worth going to see. You will encounter dingos and a eucalyptus forest, so bring your camera. 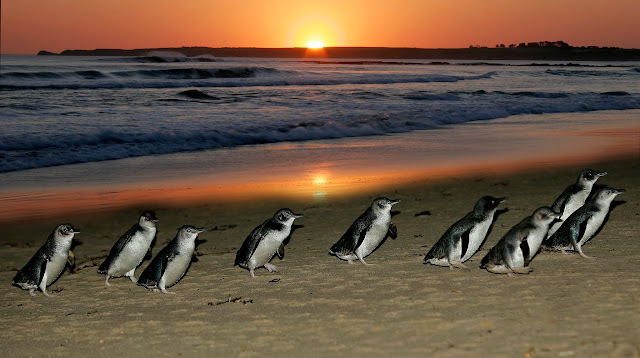 Melbourne is famous for many things, but Phillip Island is one of the most famous. Why, you ask? The PENGUINS! The penguin parade is located here, and people go to see it happen every year. It is also a very popular spot for surfers, and when you want to catch a wave and relax on the beach, Phillip Island is the place to be. A piece of paradise, Lord Howe can be found 600 KM south of Sydney and is basically a volcanic remnant. 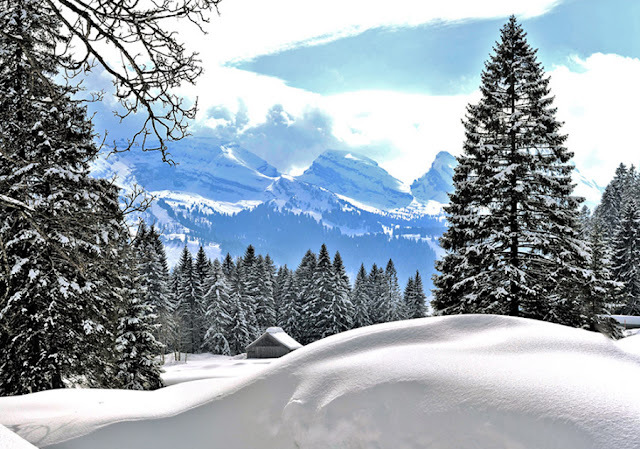 Hikers will love the walking trails and the stunning choice of peaks to scale, but it is a little outside the backpacking budget given that you can only get there by plane. It is worth the ticket, though, especially if you want to enjoy coral pools. It is a bit of an obvious name, but Kangaroo Island is famous for its wildlife. There are also koalas aplenty and seal colonies and wombats that live here, meaning the animal lovers out there will never want to leave. Take a couple of days on the island to truly revel in the experience. If you are a beach lover who needs to see some new ones, there are seventeen to be taken in when you get to Great Keppel Island. You can go beyond the backpacker trail and take in the sunshine while you are hopping between islands. In Rottnest Island there are quokkas practically in all the island but it is certain that sometimes they are difficult to see. When you are pedaling observe well on the sides of the road, they are usually put under trees where there is good shade. If you see that there are people standing still, it's probably because there are quokkas there. Be patient, you'll get sick of seeing them! There are quite a few areas with cabins to stay. There are several ferry companies that depart both from Fremantle and from Perth to Rottnest Island. They are mainly found around the village and in the northeast (for example in Geordie Bay). The types of accommodation range from simple campsites, to bungalows, hotels, apartments and a hostel. How to move around the island? The best way is to rent a bicycle. Wearing a helmet when you go by bike is mandatory in the state of Western Australia, Rottnest Island is no exception. Parker Point and Little Salmon Bay are protected areas with excellent snorkeling options. It is best to come here in the morning. In the north there are other beaches in Australia to snorkel, although not as good as the previous ones. They are Little Armstrong Bay, Parakeet Bay and the popular The Basin. It is best to come in the afternoon. When you think of amazing places with lots of beautiful sites to see and explore, perhaps you think of Paris, Venice or Bali. These are some foreign climes which are renowned for its great allure all over the world. You probably would not think of a state like Tennessee in the US places to visit, but to overlook the Volunteer State would be to make a mistake. It is actually an amazing place with lots of awesome and awe-inspiring places of great beauty. The truth is that not many people think of making a road trip from Atlanta to Nashville. In fact, the southeastern region of the United States, also known as the South, is often overlooked when it comes to organizing road trips in USA. Probably, most people would skip this region altogether and go directly to the beaches of Florida or discover the charms of New Orleans. But that would be a mistake, since the Deep South offers different cultures, interesting landscapes and delicious food that will reward the curious traveler. To see all the charms of the area you will need a car. And if you plan to get to the region by plane, you will need a rental car. The road trip we present to you begins in Atlanta with Nashville as its final destination. The driving time, depending on the route, is just over 6 hours. A round trip can be made over a long weekend, depending on the number of stops you want to make and the number of people sharing driving tasks. And, of course, you probably want to spend at least two days at some of the places like Nashville, with its diverse music scene and delicious food. Our road trip from Atlanta to Nashville goes through Savannah in Georgia, Alabama and Tennessee. With its squares populated by oaks, its elegant architecture and the sense of calm that floats in the environment, Savannah is one of the most beautiful cities in the southern United States. Among things to do in Savannah, if you got excited about the unforgettable Forrest Gump, you will love discovering that several scenes were filmed in Savannah. Some parts of the route pass through mountainous areas, so an SUV may be the best option to move around the area, much better than an economic or compact model, especially if you are planning to do outdoor activities. Now all you have to do is pick up your rental car and start driving in the deep south! Take I-85 S from the airport to Montgomery, a road trip that will take you just over 2 hours. Once you've seen all there is to see in Montgomery, drive for 1.5 hours on I-65 N to Birmingham, your next destination in Alabama. Continue your road trip driving through I-65 N for approximately 2 hours and 40 minutes until you enter Tennessee. Reelfoot Lake in Samburg is the only considerable natural lake in Tennessee and what a lake it is! It was formed by a number of earthquakes that took place along the Madrid fault in the early 19th century, which made the Mississippi River flow backward and fill up empty land in Tennessee. It is home to a number of beautiful bald cypress trees, bald eagles and lots of excellent fishing opportunities. There you can make a short stop in Franklin. Here we take a break from the big cities to visit a small town in the south. Franklin is only about 20 miles from Nashville, but here the pace of life is definitely much slower. Before parking your rental car near the picturesque main street, where the boutiques and restaurants of the town are located, drive around and look at the beautiful Victorian houses in the area. Franklin is perhaps most famous for being the site where in 1864 the Battle of Franklin was fought during the Civil War. The Carter House and Carnton Plantation has remains of that battle and contain original furniture of the time and a cemetery. Franklin is a place worth visiting, especially to slow down and drive with the windows open or the top down while savoring the true South. Head north one more time on I-65, and in 30 minutes you'll reach Nashville, the music mecca. Known since the 1950s as Music City USA, Nashville is still the place where some musicians come to make their dreams come true. And while the music scene is a great attraction in this Tennessee capital, there is much more to see and do here. There is a surprising number of activities to do outdoors in the Nashville area, due to its location along the Cumberland River and its proximity to several mountains. Visiting all the music venues and museums in Nashville can take a day or two. We recommend parking in a garage, if you plan to visit several places in the Music Row or other dense areas of the center. You should know that in the central districts of the city there is regulated parking with parking meters and it is focused on short-term stops. Among things to do in Nashville visit the Hall of Fame of the Musicians in the basement of the Municipal Auditorium. Here you will find instruments and exhibitions from a wide range of musicians, including Garth Brooks and Jimi Hendrix. The places and museums of country music are probably Nashville's most popular attractions. Learn about the Man in Black at the Johnny Cash Museum or get a broader look at the Hall of Fame and Country Music Museum. If you plan ahead, you can watch a show at the renowned Ryman Auditorium or the Grand Ole Opry. Get closer to the Parthenon. That's right, Nashville has a full-scale replica of this Greek structure, as it is known as the Athens of the South. You can find it at Centennial Park, driving west from the city center. Eat some spicy chicken. This local specialty has spread throughout the country, with Kentucky Fried Chicken even entering the game, but you should try it here. The fried chicken has a lot of red pepper, so be sure to use the fluffy white bread that you get with your order to soothe the fire in your mouth. If you have time, it's worth driving east from downtown Nashville to the Hermitage, the former home of the seventh president of the United States, Andrew Jackson. The mansion and the plantation grounds are good for learning something of presidential history and taking a break from the city. From Nashville, we headed back to Atlanta on I-24 E through Tennessee for a 2-hour trip to Chattanooga. In addition to being a fun word to say, Chattanooga is a city located in a beautiful place at the foot of the Appalachian Mountains. Here you will find many outdoor activities, which could be welcome at the end of an intense road trip. Due to the location of the city on the Tennessee River, it is not even necessary to leave the Chattanooga boundaries to spend some quiet time outdoors. Among things to do in Chattanooga, relax in Ross's Landing, an urban park by the river. Although it is now an open-air oasis, it is in the place where the Cherokee people lived. Drive to Ruby Falls, just southwest of downtown Chattanooga. 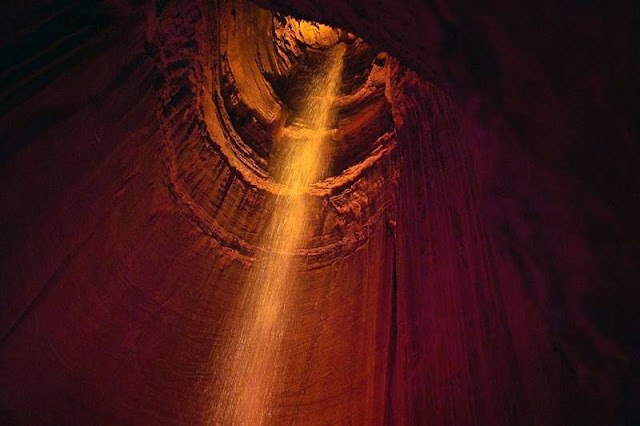 The underground waterfall is 145 feet high and is located inside a cave in the Lookout Mountain. Ruby Falls in Chattanooga is a stunning 145-foot waterfall. It is unique because it is situated a staggering 1,100 feet below the surface of the earth under Lookout Mountain. That makes it the deepest waterfall that you can actually visit in the United States, making it one of those natural attractions that you will never forget. The Lookout Mountain itself is worth a visit, either for its trails or its history as the site of a famous battle of the American Civil War. And if you're not afraid of heights, a ride on the Lookout Mountain slanting train that climbs up the side of the mountain will take you to historic places and trails. Do you still want more outdoor activities? Drive to Rock City, which is a popular site due to its panoramic views over seven states. After Chattanooga, you find yourself in the final stretch of a road trip that has taken you from Atlanta to Nashville. Burgess Falls State Park is home to some of Tennessee's prettiest views and is a popular place to picnic. Of particular note are the powerful waterfalls that are dotted around the grounds of the park. This is why if you visit, you should certainly take a trip along the River Trail/Road Loop to take full advantage of them. If you are a keen fisher, you won't be disappointed by the opportunities there either! Located at the foothills of the Smoky Mountains this underground lake measures a staggering (almost) five acres, making it the biggest lake of its kind in the USA. Pretty crystal anthodites and impressive stalactites and stalagmites make it a must-see location, especially from the vantage of a glass-floored boat in the Craighead Caverns. You simply cannot travel to Tennessee without spending some time in the Great Smoky Mountains National Park, which is on the border of Tennessee and North Carolina. The most popular national park in the United States is not only the place to see prehistoric trees. There are impressive and romantic mountains and a whole host of stunning wildlife. It is also the place to get active in the great outdoors with horseback riding, kayaking, hiking, cycling and camping activities all available within its bounds. Winged Deer Park is located in the Johnson City area, which is also home to the luxurious Fairfield Inn & Suites Johnson City. Winged Deer Park is a pretty little spot with lots of lovely flowers, some fantastic views, and picturesque walking trails. It also has batting cages for those of you who like to combine pretty landscapes with something a little more active. It can get quite busy at times, but if you are looking for a little tranquillity within the city, it is the place to be. Sit back and enjoy the panoramic views from the comfort of your rental car as you drive south on I-75 back to Atlanta - it's about 275 miles, which will take you about 5 hours. When you return to Atlanta, you can easily return your vehicle at the airport or give in to temptation and extend your reservation to enjoy this road trip for a little longer. Do you know which great river forms Tennessee's western border? Time to take a trip to Tennessee? If you value beauty, it sure is! Sweden is one of the most interesting European travel destinations that never seems to get talked about. Often lumped into the broader region of Scandinavia, and specifically paired up with Finland and Norway, it just is not always viewed as a distinct destination. One of the most naturally beautiful countries in the world, Sweden should be on the bucket list of any European traveller. This country is famous for its Viking heritage, but today there are a thousand reasons to visit Sweden and is one of the best place to travel female solo. Once you look into what Sweden has to offer, you will begin to discover a beautiful and fascinating country with all kinds of things to offer. There are adventurous hikes, stunning natural phenomena, urban breaks for a bit of relaxation, and even some beaches in Sweden that are surprisingly picturesque (given how far north Sweden really is). For a country with a population of less than 10 million, Sweden has punched above its weight in terms of its impact on the world at large. From Vikings to IKEA, the Nobel Prize to ABBA, Sweden certainly has certainly made an impression on the global stage. A solo backpacker who visits today is rewarded by stunning landscapes, charming towns and cities and welcoming people. This is one of the best countries to visit in the world if you are looking for a calm and enriching adventure. Sweden is a nation that proudly boasts about its wonderful natural landscapes, white sand beaches and peaceful little towns with cobblestone streets. In terms of hiking opportunities, there are many exciting locations that you should consider exploring if you visit Sweden. A captivating nation with dazzling scenes and rich legacy, Sweden is a sanctuary for devoted voyagers. Notwithstanding this, the spot additionally gloats of astonishing climbing trails, customary hovels, church buildings and so on. In general, the nation has such huge numbers of things in store for you that you won't feel exhausted for a second. Scandinavia have a lot to charm vacationers. It is honored with a rich scene of verdant timberlands, flawless lakes and moving mountains that blend perfectly with dazzling sights. This blend of nature with the imaginative ability of man makes for an amazing place. So, giving a little bit of attention to each of these categories and more, we are going to delve into Sweden, and why it is such an appealing place for a holiday. When you imagine hiking in northern Europe, you tend to imagine striking landscapes but, at least occasionally, difficult conditions. This is more or less the case in Sweden as well, and it should go without saying that if you plan a hike in this country, you will want to do so during the warmer months of the year. The depths of winter are fairly forbidding outside. 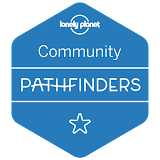 With that disclaimer out of the way, there are some truly exceptional hiking routes in this country, both on the beaches in the South (which we will get to below) and, more notably, in the more challenging wilderness inland and to the north. The Padjelanta Trail is perhaps the most quintessentially Scandinavian hike in the country. It is roughly a 150km trail that takes you through some of the remote northwestern lands of Sweden, through the settlements of the Sami people and alongside rocky lakesides. There is a decent probability of seeing reindeer on this trail, which adds another thrill. If the Padjelanta Trail is arguably the most interesting, the Kungsleden trek is probably the most famous. It is a grueling trek if you do the whole thing, spanning over 400km far to the north in Sweden. Highlights include several northern villages like Nikkaluokta and Abisko, and you will get a glimpse of Sarek National Park also. It is an otherworldly natural expanse of mountains, valleys, streams, and ponds, well worth going out of your way for. The Padjelanta Trail is a UNESCO world heritage site and is one of the most famous and rewarding trails that the country has to offer. You will be treated to stunning views of gargantuan mountain ranges, lakes, and perhaps even wildlife such as reindeer. If you are going to visit Sweden then you should also try to see the aurora lights at some point. Finally, for a more manageable hiking in northern Sweden that should only take a few days to complete, the Jamtland Triangle is another popular option. According to another piece looking at hikes in northern Sweden (and focusing largely on beach walks), the entire walk is 47 km and runs through various mountain stations with plenty of cabins, saunas, and good places to eat along the way. It is an option that combines adventure with a bit of recreation. Continue to High Coast. The unexplored trail in the zone is brimming with shocks and raises the fun. Another key point to note is that the trail goes through areas with human settlements and thick timberlands. Assigned as a UNESCO World Heritage Site, the trail has rough islands and soaks rock bluffs. Sweden came up in a previous piece about celebrating holidays under the Northern Lights, and as you might expect of a northern European country like this, there are indeed chances to see this stunning natural phenomenon. In fact, the lights can be seen all over Sweden, such that even people in the southern cities have occasionally reported a little bit of light activity in the sky. Still, your best bet is to head north, where you will have far and away the best chance of seeing something amazing. There is not one specific destination that is recommended above others, but the closer you get to the northern borders with Norway and Finnish Lapland, the better your chances of witnessing the Aurora will be. You can also look into booking tours specifically aimed at sightings - including some that also offer dog sledding adventures! 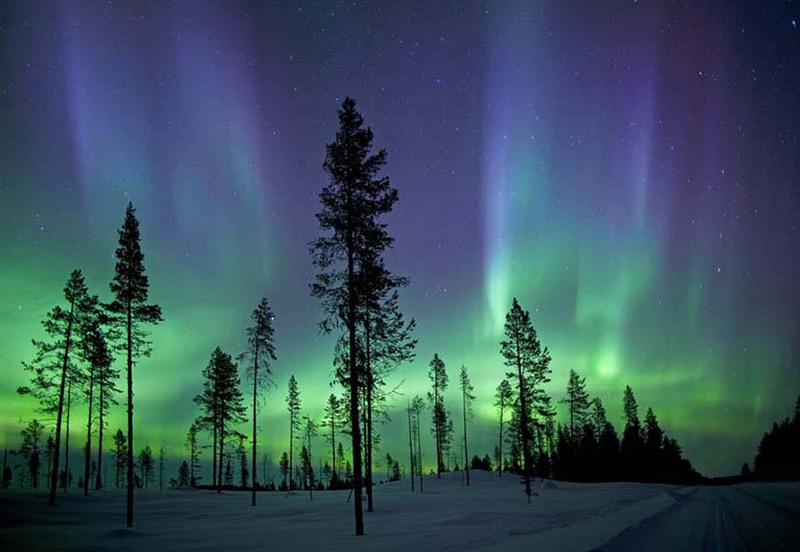 If you want to encounter Aurora Borealis, head directly to Lapland, particularly in winters. Home to untamed life, nature and snow, the spot is an unquestionable requirement visit amid your trek to Sweden. Kiruna, the northern town offers a superb perspective on the midnight sun and the wonderful Northern Lights from mid-May to mid-July. It additionally houses the world's first since forever Ice Hotel. Prepare yourself for captivating climbing, trekking or mountaineering knowledge as the most astounding mountain top in Sweden anticipates provoking you. You can also investigate diverse climbing here if you are a mountain/trekking lover. These thrills will surely make you go crazy. Skiing is also the best option for thrillers. When it comes to serene experiences, there is nothing quite like seeing the Northern Lights in Abisko for yourself. When people talk about a picture not doing justice to something, this is the perfect example. Get your opportunity to have rendezvous with the Sami family which assemble at a yearly market held at Jokkmokk. For a long time, the town is facilitating the market each year come what may. Remember to purchase nectar, cheddar and other regular produce available to be purchased. The bewildering and fascinating Sami culture alongside bona fide Swedish experience can make you return here frequently. There are wonderful cities and towns sprinkled all over Sweden, and any of them can make for a nice refuge if you do not want to spend your whole time hiking and adventuring. On the smaller side, travelers might enjoy Lund, a charming old town of fewer than 100,000 people with cobblestone roads and a Renaissance cathedral. For a bigger city break though most visitors will want to head to Stockholm. With a population near one million people, Stockholm is the big, bustling capital of Sweden and a fascinating place to see. The city is built, via a network of bridges, on 14 small islands in a Baltic Sea archipelago. Visitors will enjoy the Gamla Stan (the Old Town, effectively), the Nobel Museum, the open-air history museum and zoo, Skansen, and Stockholm Palace - as well as simply walking around and exploring. There are also some modern attractions to enjoy in Stockholm, including plenty of local bars (check out Orangeriet and Akkurat) and restaurants (try Lilla Ego or Matkonsulatet) and even something of a casino scene. Sweden has actually quietly taken the lead in Europe's casino culture, largely through the development of online games. So it should come as no surprise that there are some good in-person places for gaming and nights out in Stockholm as well (most notably Casino Cosmopol Stockholm). The Djurgarden Park offers numerous attractions bistros, lodgings, exhibition halls, kayaks, bike, and cable car rides. When you visit Stockholm, be sure to make time for a visit to the Vasa Museum. Here you will be able to see Sweden's very own Titanic, a giant wooden ship built in the 17th century on the orders of King Gustavus Adolphus which sank on its maiden voyage. The ship was salvaged in the 1980s and is on display today in what has become Sweden's most visited museum. The nation's astonishing history is reflected in various sights. The Vasa Battleship lay soaked in frosty waters for more than three centuries. The walled town on Gotland Island is an entryway to medieval history, a UNESCO world legacy site; it has delightful dividers that go back to 700 years. The Gota Canal is another fascination that goes back to the mid nineteenth century and offers an awe inspiring journey. Situated at the North of Stockholm, Sigtuna gives you a look at the medieval history of its houses of worship, rune stones, and other old vestiges. In fact, game development has been offered as a subject of choice at the country's Gotland University since 2001. Uppsala is another destination worth considering, both for its deep history (it is often mentioned in association with Vikings, though these histories have been twisted somewhat) and for the charming university town, it is today. And then there is Malmo, a slightly larger but not massive coastal city that is linked by tunnel to Copenhagen in Denmark. Malmo is the greatest city in Skaine. It is one of the spots in Sweden where you can encounter culture from throughout the world. Brimming with vitality, the city additionally takes the spotlight for its solid natural social character and creative engineering. Any of these places to visit in Sweden can make for a nice place to rest and do a bit of local sightseeing. Gothenburg is one of the loveliest spots to find in Sweden. This gives an ideal motivation to investigate the spot at your very own pace. Arranged along the Gota River, the remarkable archipelago is a colossal draw for guests from around the globe. Various waterways that dab the city make it seem to be like Amsterdam. We won't spend too much space on beaches of Sweden, but if you are looking for further outdoor activity in Sweden that is a little more relaxing and less adventurous, the selection of pleasant coastal areas is surprisingly broad and impressive. 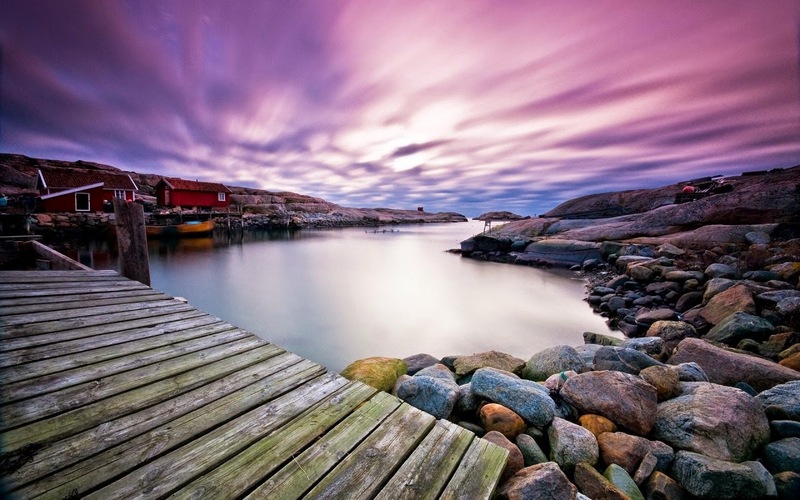 Because Sweden is recognized as a Scandinavian country many forget all about the fact that much of it runs along the Baltic Sea, which is a famously beautiful resort area. Among the famous beaches in Sweden are Ribersborg, Tanto Beach, Faro, Lysekil, and Norrfallsviken, and all are pretty and relaxing options. Faro makes for perhaps the most complete beach getaway. It is its own island, well south of Stockholm and just off of the larger island of Gotland, smack in the middle of the Baltic Sea. It is a charming coastal area complete with restaurants and ice cream shops, beach walks, mini golf, and boating and was one of the locations of Game of Thrones. Parading an illusory palace, Kalmar is encompassed by water. Shorelines collaborating with harbours and old landmarks add to the provincial appeal of the spot. When titled as Sweden's best summer city, the spot is best seen on a kayak. Need to remember the existence a Viking? Birka allows you to do as such. Besides, the interesting town is history buff's heaven. Hailed as the most established town in the nation, Birka is one of the UNESCO World Heritage Sites. Venturing out to the spot is much like going back in time. Do not forget to take a voyage through the Viking town. And the visit to the very old and famous Birka museum is a must. Next, we have Kosterhavet. There is without a doubt something unique about this spot. Sweden's sole Marine National Park was introduced here. Offering welcoming drifting and kayaking openings, the recreation centre is around the Koster Islands. Jumpers and Snorkelers can locate the ideal rest while cherishing the coral reefs here. Old stronghold and cruising are the two imperative parts of Marstrand that make it rank among best vacation destinations in Sweden. Cruising pontoons of every kind nearby the sky blue sea and rough shakes add to the appeal of the spot. Additionally, you can book flight tickets using Goibibo Offers at discounted prices. Hopefully, this paints the accurate picture, which is that Sweden is a remarkable place for an adventure. No matter what your primary reason for going may be, there is a little bit of everything to enjoy, and you might just manage most of it in one trip. What are the Most Fun Things to Do in Jaisalmer? Thinking of planning to travel somewhere exciting this winter? Are you bored of visiting beaches and mountains? Here we are with a new and mysterious vacation idea to refresh your mood. Planning a trip to Rajasthan and Jaisalmer desert would surely give you a new experience but what to do in Jaisalmer? Jaisalmer, popularly known as the golden city of Rajasthan is an enchanting destination. Jaisalmer invites you to explore the very beautiful Thar desert in Rajasthan with crimson sandhills and other thrilling adventures in the Jaisalmer fort. Here are some things to see in Jaisalmer after traveling to the hidden places in Jodhpur. Popular as the heart of Thar Desert, the Prince Sam Dunes is the starting point of the desert safari in Jaisalmer. Camping here brings a number of activities like a campfire, traditional food and drinks, stargazing, and much more to enjoy, especially, after sunset. Camels, also known as the ship of the desert, bring to you a unique way of exploring the desert area. It gives you an experience similar to the roller coaster where you slip and fall in the sand for a memorable ride. Though the camels provide you a limited distance ride, they are still considered to be the prime attraction of people visiting here. The camel ride also comes with other attractions. It includes a visit to the Kuldhara village, watching the beauty of sunrise and magical sunset, desert wildlife across the oasis. 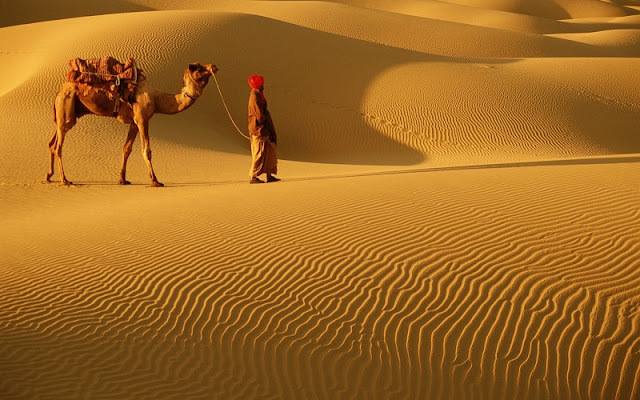 You can either have a two-day Jaisalmer tour package, which includes a night in the desert or a tour of nearly 6 hours. Yes, if you are looking for a long distance safari in the swift winds of the desert, the jeep safari is an ideal choice. Moving along the glittering sand, the jeeps give you an unforgettable experience filled with thrill. With open tops, the jeeps give you a chance to move towards the unexplored beauty of the sands in the Thar Desert. The jeep safari allows you to visit places like Sam Sand Dunes, Desert National Park, Padholi Sanctuary and much more. Along with the different types of desert safari attractions, you can also enjoy other key activities. It includes quad biking and dune bashing that is available at Sam Sand Dunes, which is also a key attraction of the Sahara Desert. Also, while spending nights in the desert, enjoying a musical night with the Rajasthani folk dance and folktales comes with a mind-blowing pleasure. Jaisalmer brings to you a number of attractions which can be enjoyed according to your interest. However, it is widely visited for the desert camp by the tourists. The Thar Desert gives you an opportunity to live on the land of dreams and enjoy living in tents, with a luxurious touch. It is one of the most authentic desert dunes in Rajasthan that has plenty of activities for its travelers. You will find 30 to 60-meter high sand dunes that are amazing to watch and is also the best spot for desert safari on jeep or camels. This spot is one of the best in Rajasthan that has sand dunes spread across 2-3 km. People visiting this place mostly stay in the Jaisalmer Desert camp. The evening is the best time to visit the Sam Sand Dunes. Here you can watch the sunset and stay there at night and watch the early morning sunrise which is an amazing sight. The best time to visit Sam Sand Dunes is from October to March and book a Rajasthan tour package for a comfortable and safe journey. Jaisalmer railway station is one of the most popular railway stations in Rajasthan. You can reach Jaisalmer railway station if you prefer to travel via rail. The North Western Railway controls and manages the administrative work of Jaisalmer railway station. The station is busy with trains from all parts of the country. It has three platforms with a total of five tracks. The distance between Jaisalmer railway station to Sam sand dunes is 40 Kms. The desert camps in Jaisalmer, are mostly situated beside the main roads near to the Sam Sand Dunes. 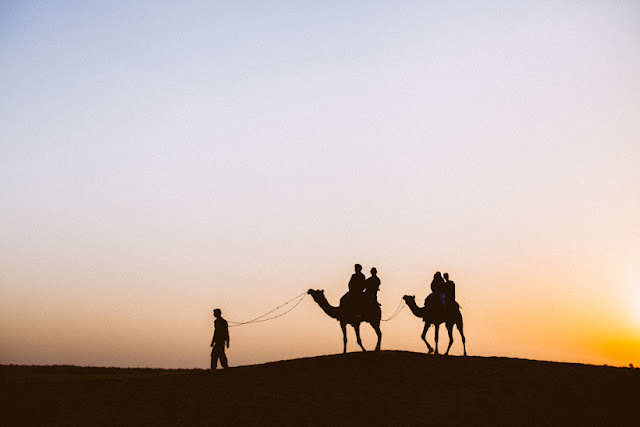 They are around 45 minutes away from Jaisalmer where you would observe a good crowd of people traveling on camels to have the mesmerizing view of the sunset. Apart from Sam Sand Dunes, other places that have camping facilities include Khuri and Barna villages that are located at a distance of around an hour in the southwest direction from Jaisalmer. The villages are less developed and crowded that makes it an authentic place to visit. Among the top most camp in Jaisalmer, the Serai gives a luxurious experience for camping in the deserts of Jaisalmer. The tents here come with luxurious interiors and exteriors which includes covered sitting room, en-suite bathroom, spacious bedroom, private spa, outdoor pool, lounge tents, dining tents, and much more. The Serai is a perfect place to enjoy stargazing and sunset, as you are given an open sky to enjoy dining there too. Even though Damodra Desert Camp doesn't come with all the luxuries that the Serai provides with, it is still much popular among the stargazers. The camp comes with ten Swiss tents, that are decorated with every basic requirement. The tent and the surrounding would surely give you a traditional village experience that is surrounded by a peaceful environment. Stargazing here is enjoyed from the terrace or rooftop of the tents. Located beside the Sam Sand Dunes, the Prince Desert Camp is completely decorated with interiors that are truly amazing and luxurious bathrooms too. 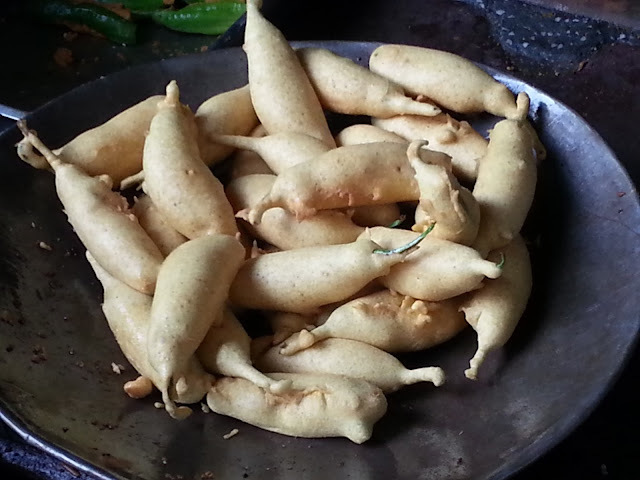 The tents are well managed, where the people are served with traditional and lavishing dishes. This is the best place apart from the hassles of the city where the stargazers can enjoy the activity with ease. Are you among the stargazing lovers? Pack your bags to have a memorable experience with a budget travel plan as you move towards Jaisalmer desert. But are you wondering about what to pack for jaisalmer and what to wear in jaisalmer in december? A heavy jacket is a must as being a desert, the temperatures in night are really low. Thailand is a culturally rich and diverse country in Far East Asia with its mainland and more than 1400 islands in the Andaman Sea and the Gulf of Siam. Koh Samui has everything a tourist wants. It is perfect for backpackers as well as it provides luxury and private accommodation for couples who want a little privacy. This island has some of the most popular tourist spots in the world with some of the best beaches in Asia for a honeymoon in Thailand, great atmosphere, full party and nightlife scene. 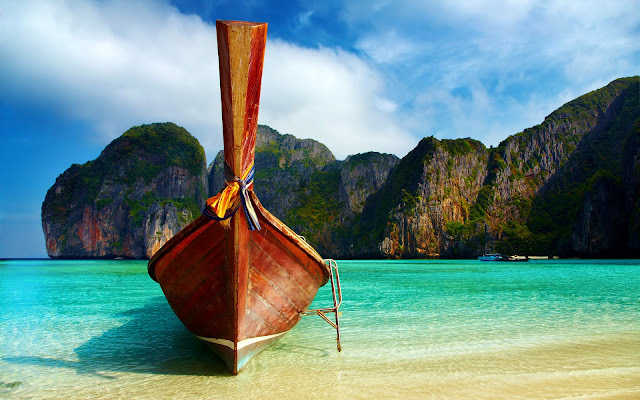 Travel Thailand for infinite opportunities of spiritual exploration, relaxation, and recreation. You can enjoy the luxury of private and less crowded beaches at the resorts of some of these islands. Just imagine a hammock swinging between two palm trees with a gentle sea breeze flowing, and the white sand merging with the clean sea at the shore, the feeling of bliss is out of the world. But each island is quite different from the other. They are rich in their own features, and you have an infinite number to choose from. Following is one of the best island destinations in Thailand. Choose your island to visit with respect to the occasion and your own preference whether you want to enjoy some time with your loved one privately, or party till dawn, eat local foods at the shore or getting snappy. But before you head out to the most awaited Thai vacation, we will like to recommend you how to save on your flights and accommodation. Always acquire the services of renowned travel agents to book cheap flights to Bangkok or any other international airport in Thailand. You can also book accommodation and other travel services from travel agents in advance. It is always advisable to plan ahead of your trip to avoid any issue afterward. Do you wish to visit the tropical islands, the enthralling temples, the local markets and the stunning beaches of Koh Samui, but need some travel suggestions about the beautiful places and activities around there? Koh Samui is one of the most attractive destinations in Thailand with palm-fringed beaches, coconut groves, dense mountainous rainforests, plus luxury resorts and posh spas. Well, we have listed some things to do in Koh Samui for couples that you will love to explore. With cheap huts and bungalows available, it has some of the best beaches in the world. Below you can find some amazing places, that will make your vacation in Koh Samui a memorable one. Koh Samui's coastline is covered with some beautiful beaches along. Here you will find some calm and peaceful beaches, as well as some vibrant beaches. The famous and sometimes crowded beaches are Chaweng Beach and Lamai Beach, on the eastern side of the island. Also, the towns of these two beaches offer the most interesting things to do for tourists. If you prefer a calmer atmosphere, then you must go to Bo Phut Beach or Maenam Beach. You can even find some secluded beaches like the Bang Por Beach in Koh Samui. Do you believe in God? 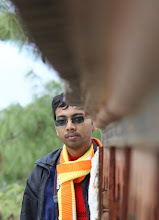 Are you worshipper or like to visit temples? In any case, you must visit the magnificent temples of Koh Samui once. Here, there is more to see than the famous Big Buddha, the Wat Plai Laem or the Wat Khunaram which has a mummified monk. The Laem Sor Pagoda and the Wat Rattanakosin, near the pagoda on a small hill, belong to the list of the most beautiful temples of Koh Samui. You can visit all of these places on a motorbike because they are all located in the south of Koh Samui. However, we are not finished yet. With the Wat Kiri Wong Karam close to the Elephant Gate in Taling Ngam, the Wat Samret or the Khao Hua Jook Pagoda with a view of the airport of Samui, you can find some more temples. Nightlife is always exciting in Koh Samui. 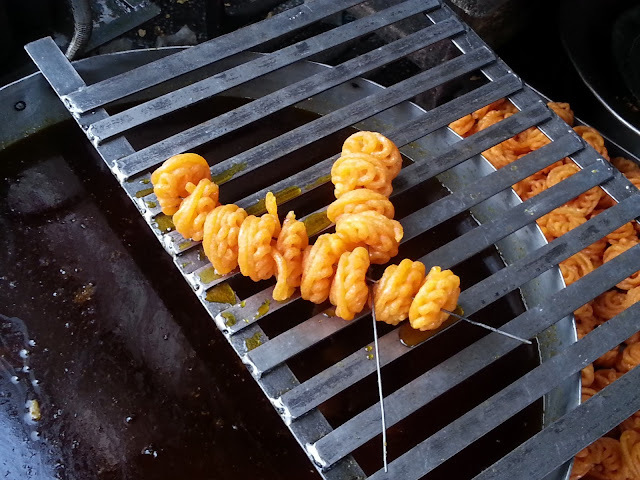 If you are fond of Thai markets and Thai food, then you are at the right place. You will find several spreads around the towns of the islands at Koh Samui. Besides the delicious variety of Thai foods, which you can try in these markets, you will find clothes, cocktails, souvenirs and just everything you can imagine. In fact, the food tastes incredibly good at night, and the little stalls on the streets of Koh Samui offer some incredible food choices. Koh Samui offers a range of viewpoints from the hills as the islands are located in the Gulf of Thailand. Whether it is the view from the Wat Rattanakosin or the Khao Hua Jook Pagoda, everything seems mesmerizing in Koh Samui. Some more places that you can visit in Koh Samui are Chaweng Beach, Bophut Beach, Nathon pier Beach, Taling Ngam Beach and Lamai Beach. Whether you go to the beaches of Koh Samui or the markets of Koh Samui, you will always be fascinated by nature and the fascinating views that Koh Samui will provide you. Hin Yai & Hin Ta is one of the most famous sights of Koh Samui that you should surely visit on your trip to Koh Samui. The Grandfather and Grandmother Rock, known as Hin Yai and Hin Ta in Thai, is famous for its story. Hin Yai & Hin Ta is situated on the south of Lamai Beach and represents the male and female sexual characteristics. Hin Ta and Hin Yai have some fascinating rock formations in Koh Samui’s south coast, and it has been a source of amusement and wonder on the island since they were discovered by the locals many years ago. The Tarnim Magic Garden is also known as Secret Buddha Garden. The Secret Buddha Garden is hidden high in the hills, in Koh Samui's interior, offering majestic views and an unusual collection of statues amid lush jungle surrounds. When you visit Tarnim Magic Garden, you will discover a huge garden that has many statues. You will see many Buddha statues, but along with these, there are also some others like birds, snakes and mythological creatures at Tarnim Magic Garden. A trip on a bike is ideal if you want to explore Koh Samui on your own. Exploring the place on your own on a motorbike is a whole new experience, as you get to know the place and their culture more closely. You can even rent a bike from near by hotels or shops that rent motorbikes nearby the island of Koh Samui. The Ang Thong Marine National Park has beautiful islands, and snorkeling areas, located on the coast of Koh Samui in the Gulf of Thailand. Most of the speedboat trips begin at the Big Buddha Pier in Bangrak, but there are also some girl trips you can do with wooden boats. At Koh Mae Koh you will get to see some of the best snorkelling sites. You can even see the monkey rock and much more. Namuang Safari Park is situated on the southern side of Koh Samui and is about 30 minutes from the airport. Moreover, it is located only a few kilometers from the Nathon pier and thus has become an exciting tourist attraction in Koh Samui. The park has been an adventure destination since the last ten years, and now they are extremely famous for its elephant trek and crocodile show. So this was a list of places around Koh Samui that you must visit to make your trip unforgettable. Koh Samui is one of the most beautiful places to travel in Thailand.